Engineered to provide unparalleled comfort and security with every step. 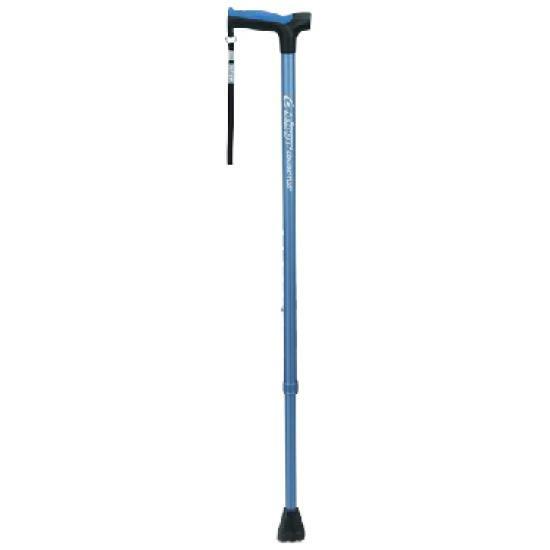 Ordinary canes only offer support, but the Airgo Comfort-plus Derby cane offers you the ultimate in comfort and safety. Only Airgo combines an ergonomically designed Soft-top cushioned handle with a Flex-grip tip, while offering 20% more height adjustability to fit you, whatever your height. # Cane height adjusts from 27" to 38" (68 cm to 96 cm).